Ruben Loftus-Cheek has scored to make it 2-0 to Chelsea against Fulham in their game at Stamford Bridge this afternoon. 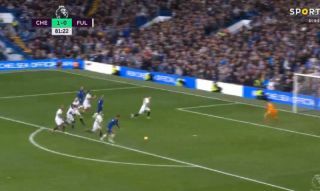 Moments before the England international lashed home, Alvaro Morata suffered another horror-miss that will have had the home crowd sweating over securing the result. Loftus-Cheek’s goal, however, has now surely put this result to bed late on, with Chelsea cruising to another three points. CFC needed a response after defeat at Tottenham last week gave them their first loss of the season, and it looks like they’ve got it today.